For a few years now QM students have been able to book one of our six group study rooms or one of our six individual study carrels online. One of the most frequently asked questions ﻿we get asked at the Service Desk here in the LRC is "where can I book a group study room?" The link to the online booking system is on the Library Services home page - look to the left hand side and you'll see "Room Bookings". Once logged in, you can book a group study room or individual study carrel for an hour or all day, up to three weeks in advance. You can also log in and see if the room you are in is free for the next hour, the rest of the day or the same time next week. 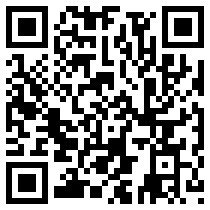 To make things easier, we've created a QR code for Room Bookings online. If you've got a QR code reader on your smartphone, scan the QR code and it will take you to the Room Bookings web page where you are prompted to log in.